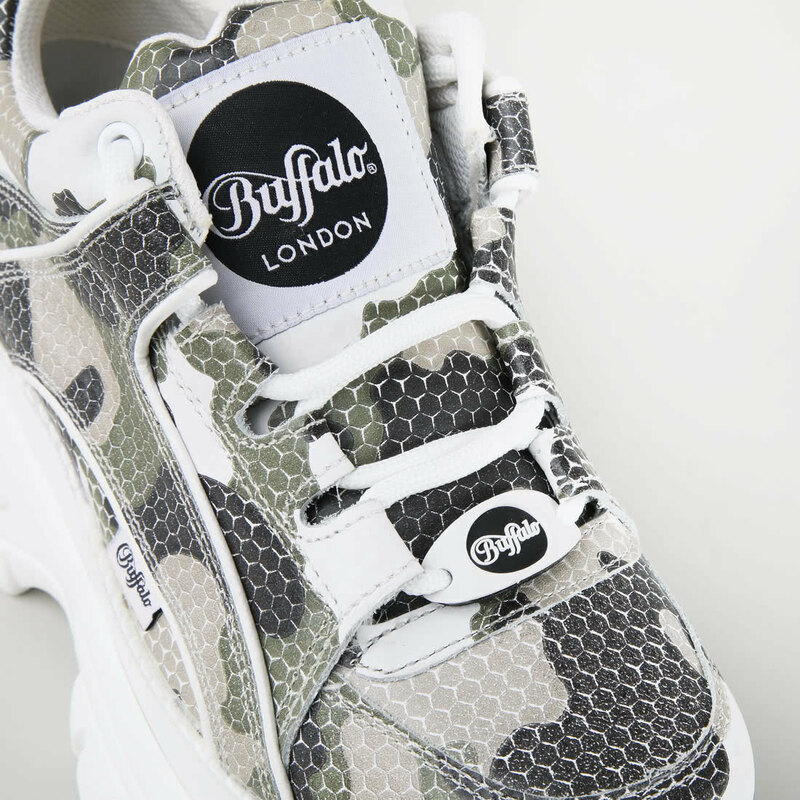 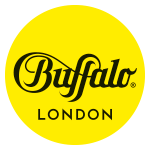 The Classic Kick "camouflage" by Buffalo London is the little brother of the Buffalo Classic '90s icon. 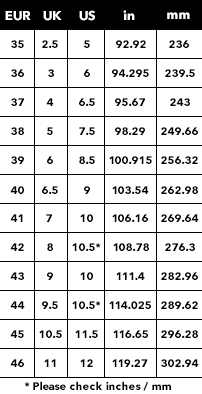 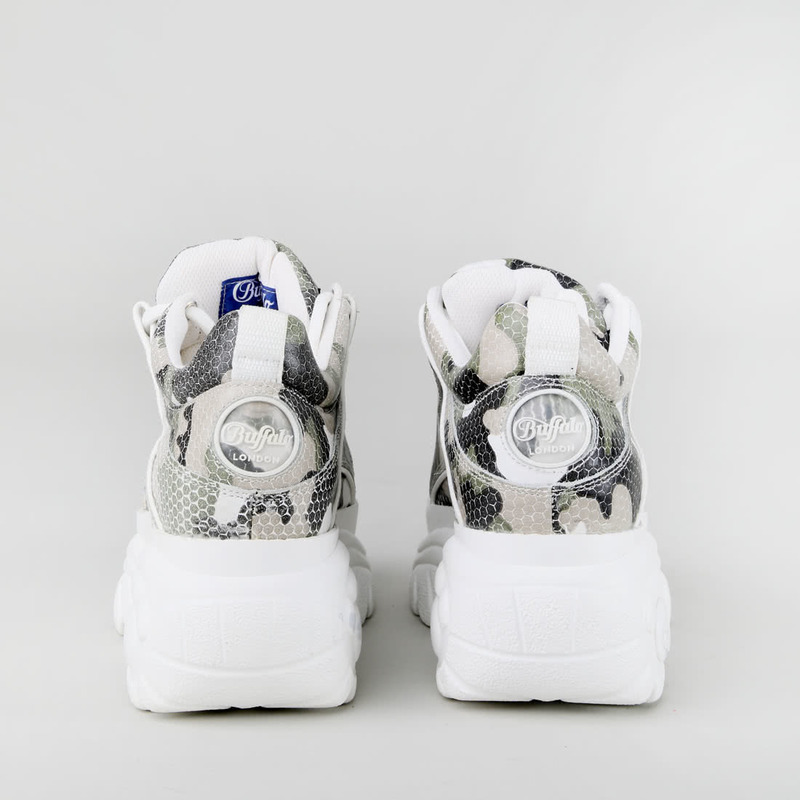 In contrast to its predecessor, its figure is more similar to the looks of sneakers. 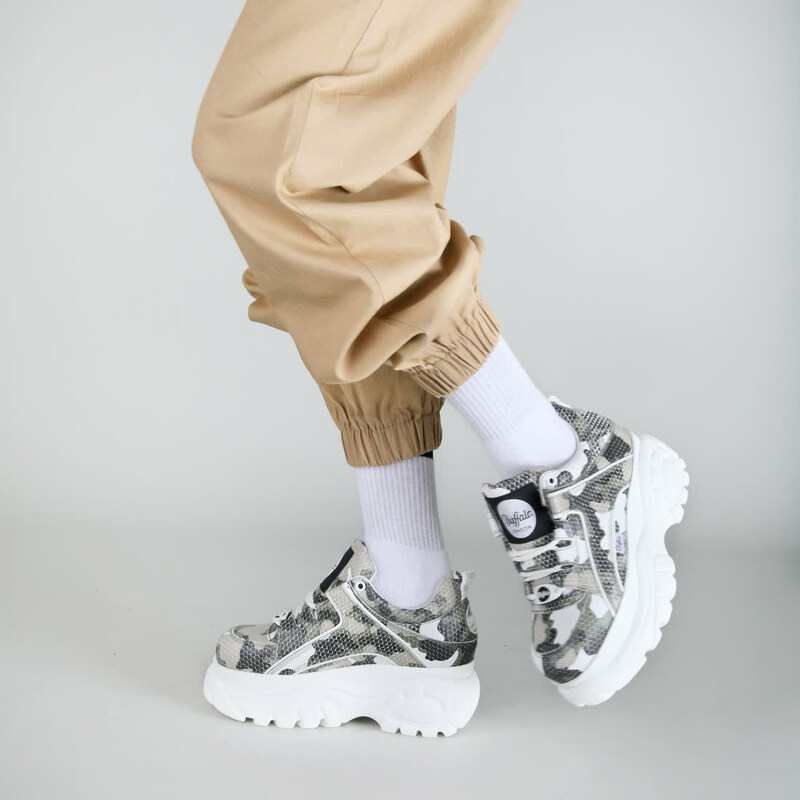 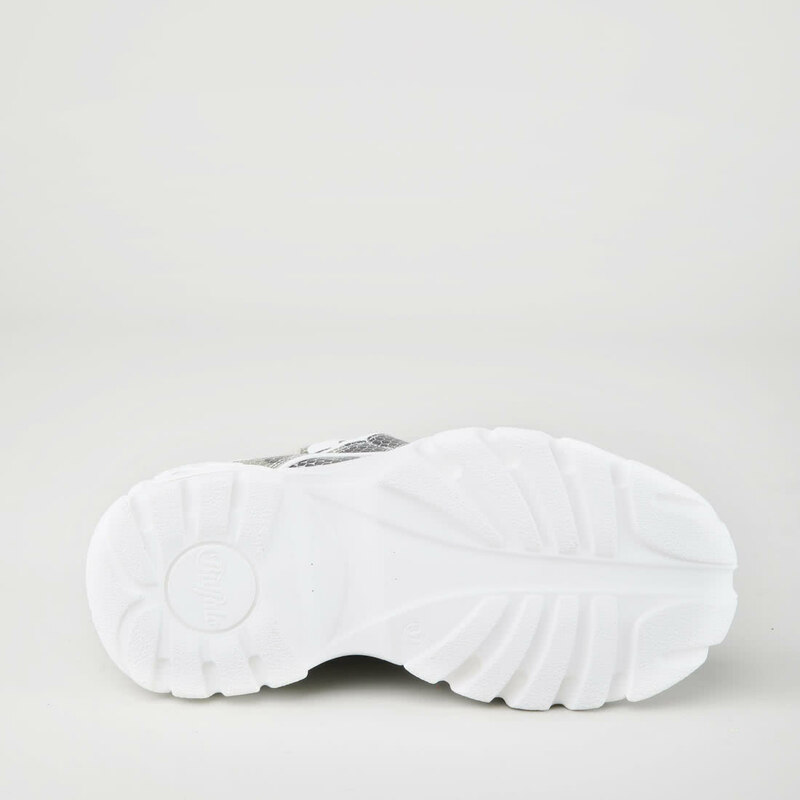 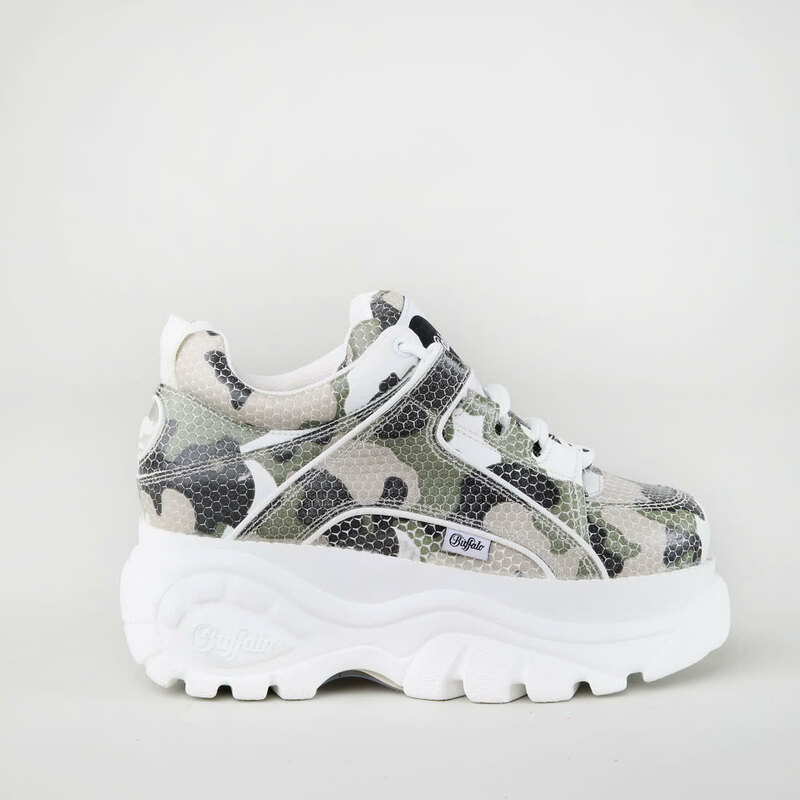 All that remains with this camouflage version is the one-of-a-kind platform sole that comes in a clean white leather.